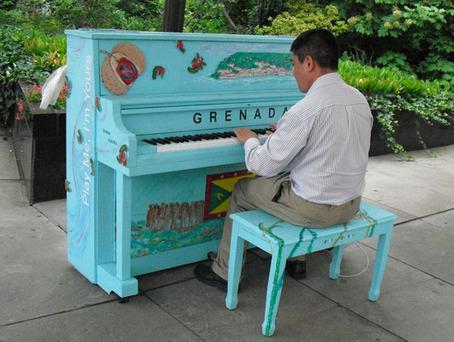 Grenada piano created by Donna Guerra. Artist mother Christine proudly standing beside her father's name on the piano. 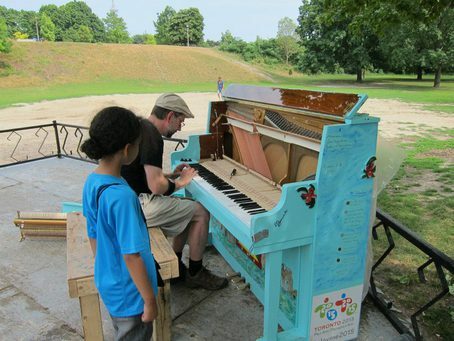 My daughter amazed that she could just play a tune on a piano in the street - made a lovely memory for our holiday in Canada. On vacation and just passing by when her parents encouraged her to play a tune. Thank you.